While Virgina & Truckee, which has not been in operation as a freight line since its 1938 abandonment, has nevertheless earned legendary status for its transportation of silver and other ores located in mines around the rugged mountains near Reno and Carson City, Nevada. However, perhaps the V&T is best known for its background role in dozens of Western-themed movies with its preserved property and equipment that dated back to the 19th century. So, while it no longer hauled freight it became famous on the big screen after is multimillion dollar services for the Comstock Lode (at one time the railroad paid dividends that exceeded $100,000, in the 1800s!). The V&T was chartered in 1869 for the express purpose of hauling ore, lumber and supplies for the famed Comstock Lode, the operation of extracting gold and, particularly, silver from beneath the mountains and hills of Virginia City. While the operation ended in 1878, after only 19 years of operation (due to flooding) it was able to reap rewards of $400 million, or over $500 billion in today's dollars. As for the railroad's peak system mileage, it would stretch from Reno to Carson City where it then split into two branches; one line headed east-northeast to Virginia City (the line being rebuilt as we speak) and another line heading due south to Minden. 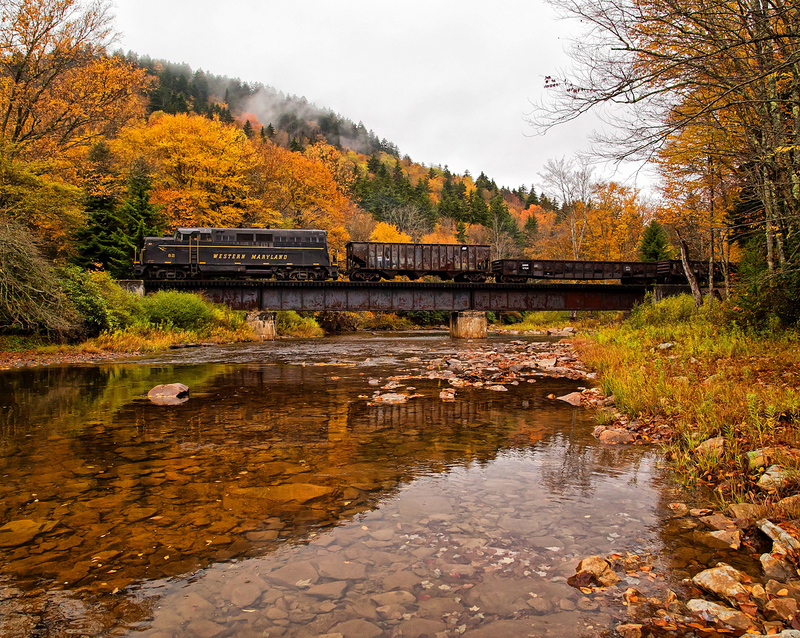 In total, the railroad operated a little over 50 miles of rail line. 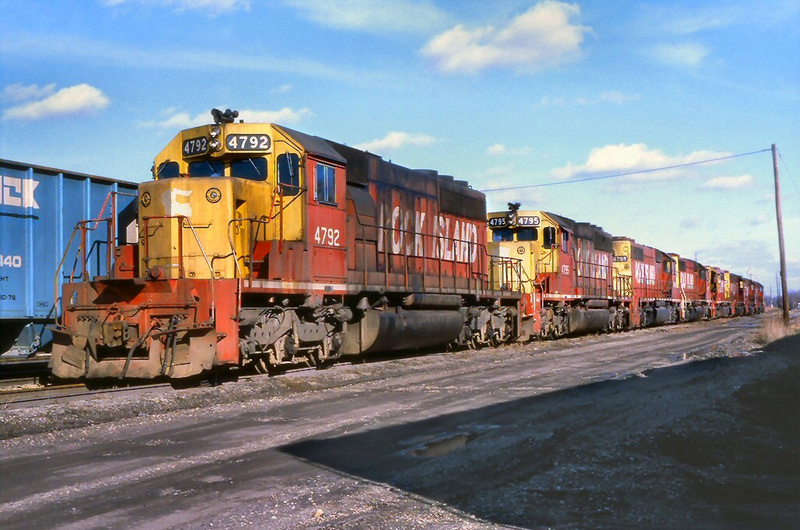 While the mining operations around Virginia City signaled the peak years of the V&T's operations it remained a viable freight line until the late mid-20th century when, after years of lost traffic and revenues, finally ended operations altogether in 1950. 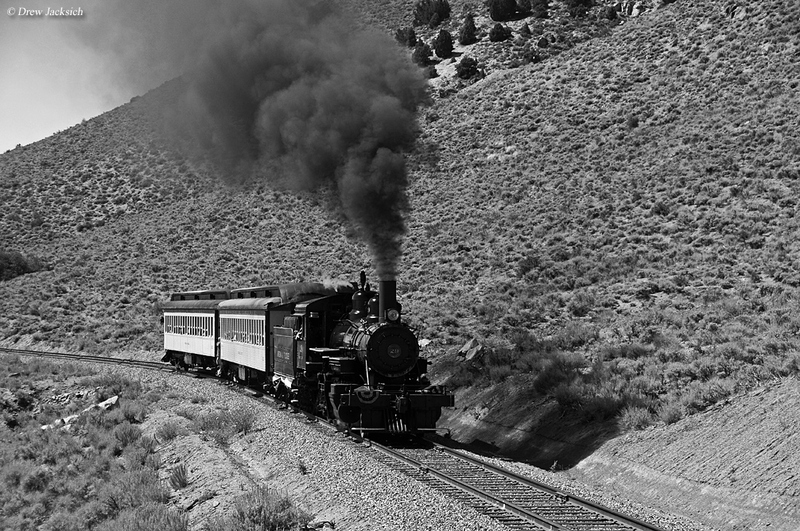 However, life persevered for the Virginia and Truckee Railroad. When the Western craze hit the big screen around the same time Hollywood descended upon the railroad as a backdrop for numerous movies. Not only did this make the little railroad famous it also allowed for its equipment to remain almost entirely preserved, including nine original steam locomotives! · Baldwin 4-4-0 American Type #11 Reno: On display at Old Tucson Studios in Tuscon, Arizona. · Baldwin 4-4-0 American Type #12 Genoa: Preserved at the California State Railroad Museum. · Baldwin 2-6-0 Mogul Type #13 Empire: Preserved at the California State Railroad Museum. 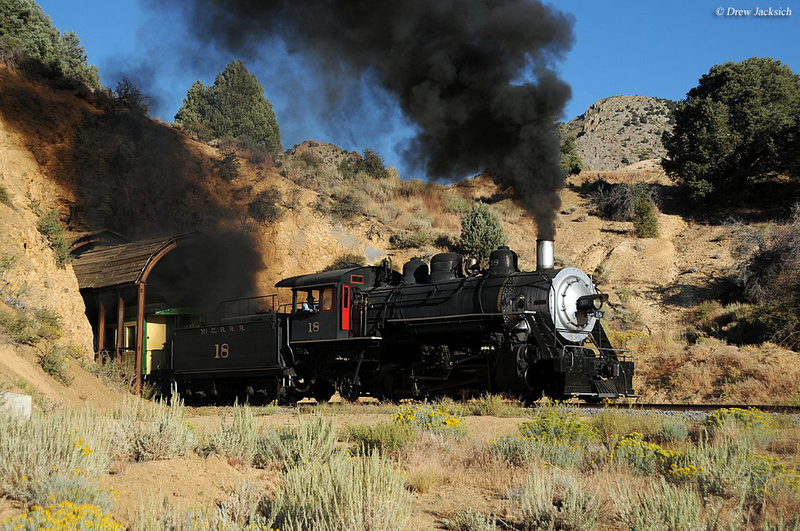 · Central Pacific-Built 4-4-0 American Type #18 Dayton: Preserved in Virginia City, Nevada. · Baldwin 2-6-0 Mogul Type #20 Tahoe: Preserved at the Railroad Museum of Pennsylvania in Strasburg. · Baldwin 2-4-0 #21 J.W. Bowker: Preserved at the California State Railroad Museum. · Baldwin 4-4-0 American Type #22 Inyo: In operation at the Nevada State Railroad Museum. · Baldwin 4-6-0 Ten-Wheeler #25: In operation at the Nevada State Railroad Museum. · Baldwin 4-6-0 Ten-Wheeler #27: Preserved at the Nevada State Railroad Museum. As you might expect, it took a lot of effort on the part of many individuals just to rebuild the original section of line, opened in August, 2009. 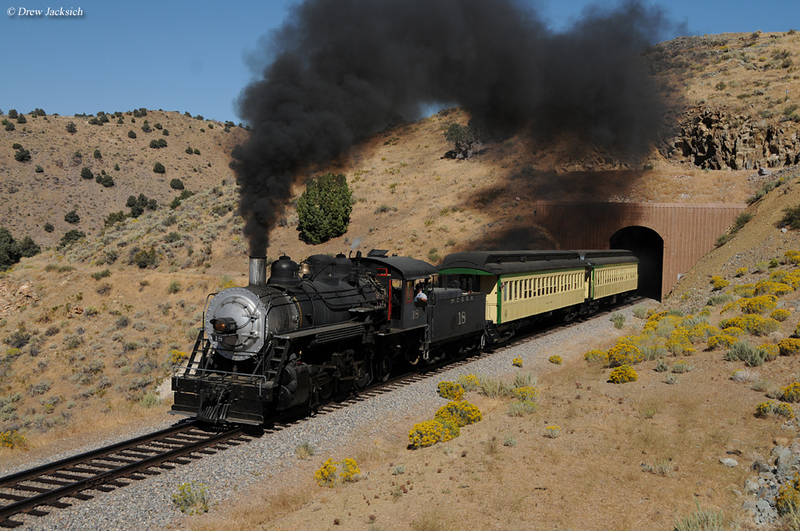 Today, the railroad operates about 15 miles of track between Gold Hill (near Virginia City) to Carson City. When reconstructing the line the designers attempted to use as much of the original right-of-way as possible although a few sections are entirely new and passengers can even see where the old route was once located. Since the Virginia and Truckee Railroad kicked off operations in the late summer of 2009 it has steadily grown, particularly in regards to its locomotive and car fleets. 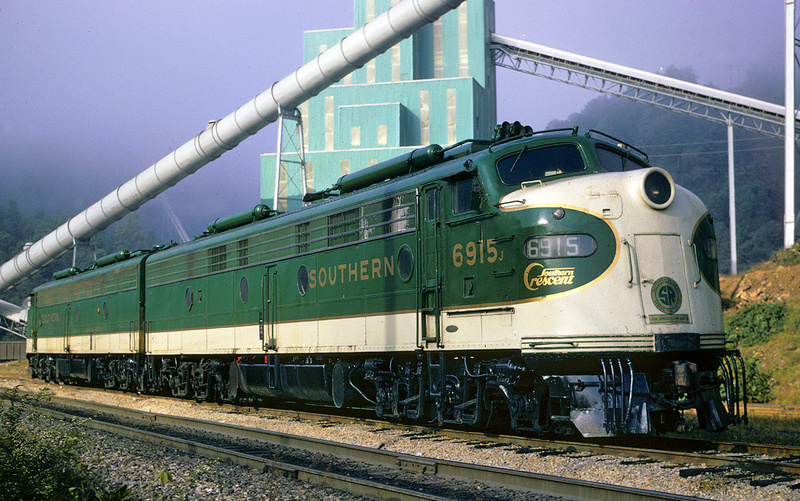 Its most recent acquisitions include a GE diesel switcher from Montana, a former Chicago, Burlington & Quincy railcar, and additional passenger cars. 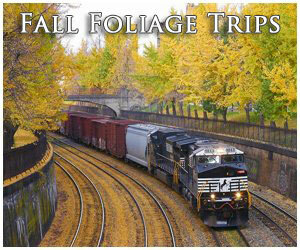 Their current seasonal schedule runs between March and late October for regular excursions. 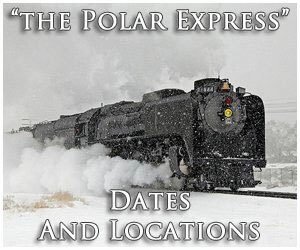 However, they also host several special trains, particularly during the holidays like the "Virginia & Truckee Ghost Train", "Christmas Elves Trains", and the annual Easter Egg Hunt. 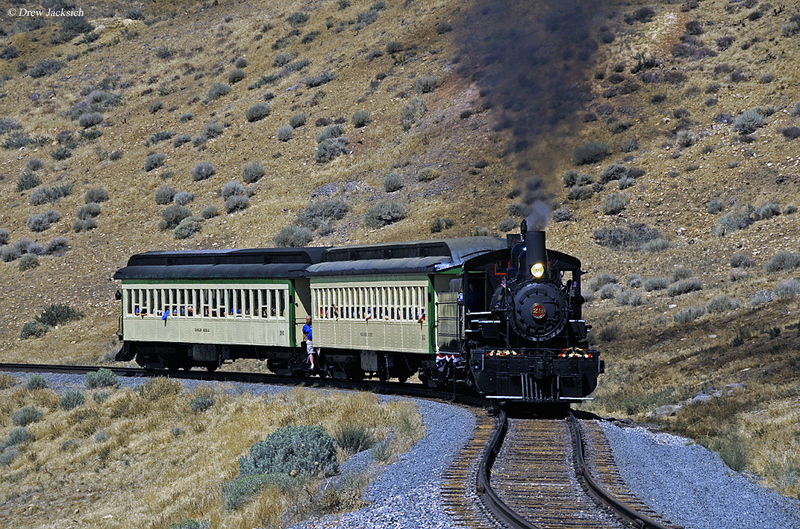 For more information about the Virginia and Truckee Railroad please click here to visit their website. 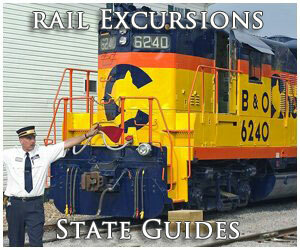 It provides information about all of their events hosted throughout the year, pricing options, and how to reach the railroad. You can also learn more about the history of the V&T and consider joining their Facebook page to keep on the latest developments. 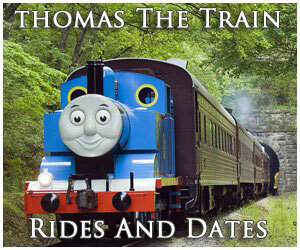 Thanks to Craig Brinkman of the V&T for help with the information on this page.